Our Lodge held its annual dinner honoring our Widows and those receiving service awards on Saturday, August 12, 2017. Our late Master, Bro. 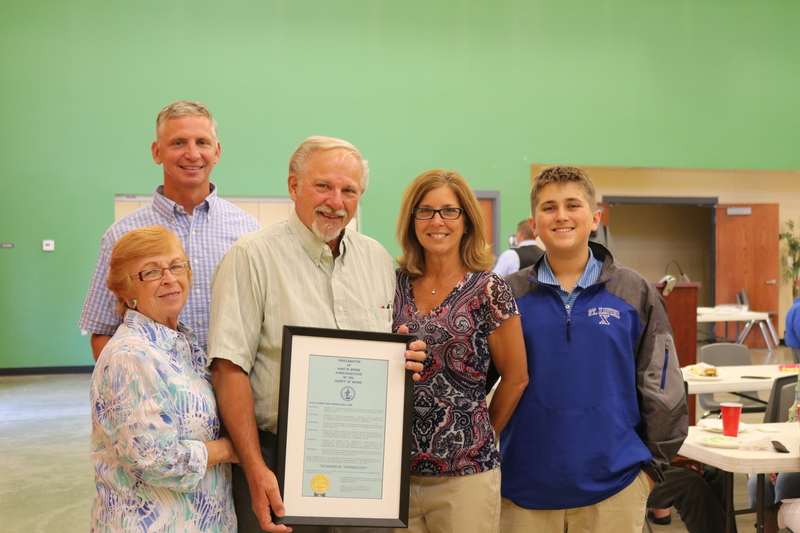 Buddy Wallace, arranged for Boone County Judge Executive Gary Moore to issue a proclamation designating August 12 as “Ed Tanner Day” in Boone County, in honor of Bro. Ed’s service as our Lodge Secretary from 2009 through 2016. Amazingly, we were able to keep this a secret from Bro. Ed until the time of the presentation. Most Worshipful Past Grand Master and Right Worshipful Grand Treasurer Keith Dreier and State Senator John Schickel joined us on this special day to honor Bro. Ed, our widows and all others receiving awards. Our members, family and guests enjoyed a day of good food and good fellowship as we celebrated another year in the history of our Lodge. 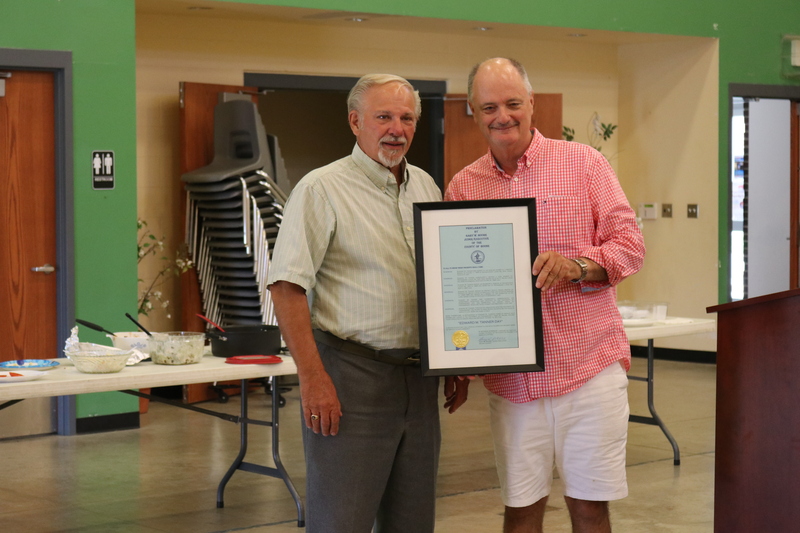 State Senator John Schickel presents Worshipful Bro. 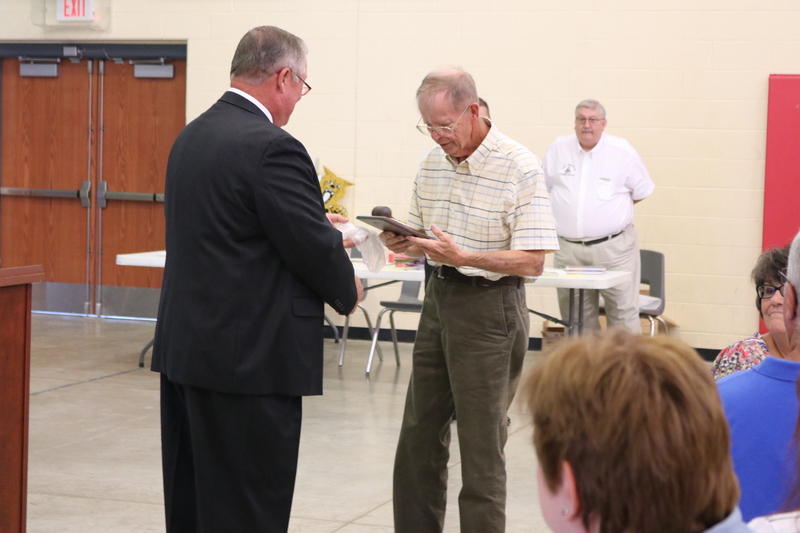 Ed Tanner with a proclamation designating August 12 as “Edward M. Tanner Day” in Boone County, honoring Bro. Ed’s years of service as Secretary of our Lodge. Acting Master Jason Wallace welcomes our members and guests. 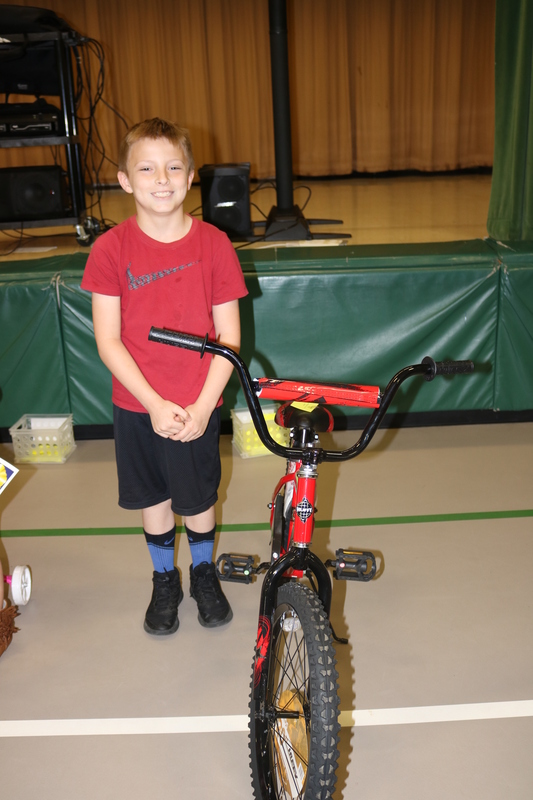 Most Worshipful Past Grand Master and Right Worshipful Grand Treasurer Keith Dreier spoke about the services that Masons provide outside the Lodge, such as the Masonic Homes, the Masons Helping Masons program, and the Bicycle Program. Worshipful Bro. Jason Wallace, Acting Master, presents a rose to Patricia Helms Hogan. Marilyn Helms Peters, and her daughter, Kristi, received a rose from the Lodge. Most Worshipful Past Grand Master and Right Worshipful Grand Treasurer Keith Dreier presented a plaque to Worshipful Bro. 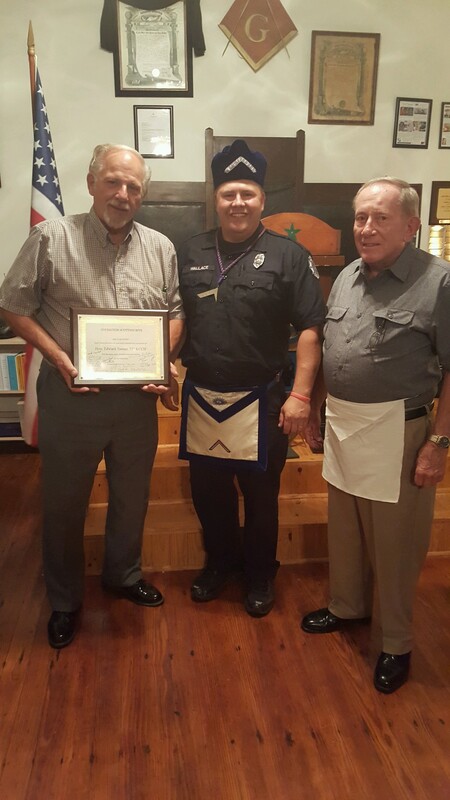 Ernie Stratton for his service as Master of our Lodge in 2016. Most Worshipful Past Grand Master and Right Worshipful Grand Treasurer Keith Dreier presented a plaque to Worshipful Bro. Ed Tanner for his service as Secretary of our Lodge from 2009 through 2016. Most Worshipful Past Grand Master and Right Worshipful Grand Treasurer Keith Dreier addresses the members and guests assembled. 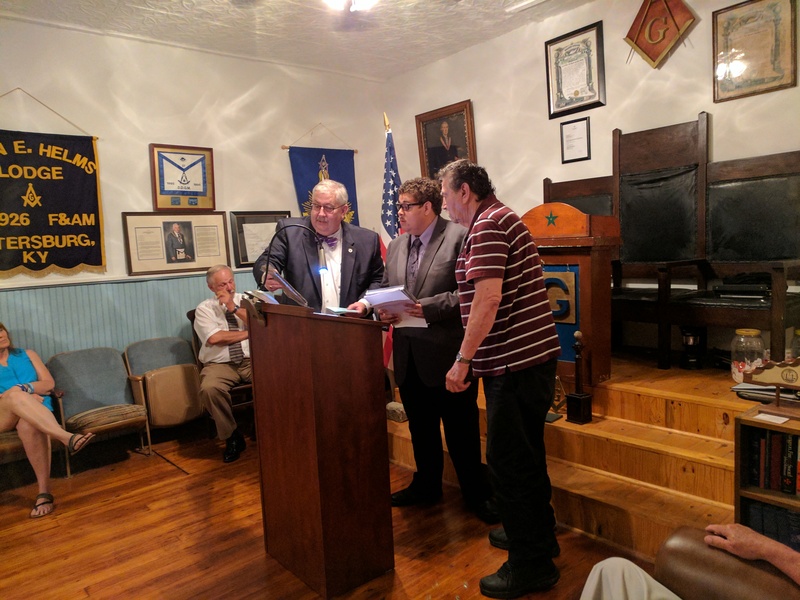 Most Worshipful Past Grand Master and Right Worshipful Grand Treasurer Keith Dreier presented Bro. Jimmie North with his 40 Year Pin. Congratulations, Bro. Jimmie! It was with heavy heart that the Brothers of Elvin E. Helms Lodge No. 926 assembled for our Lodge’s first stated meeting following the death of our Master, Buddy Wallace. Our Senior Warden, Worshipful Bro. Jason Wallace, presided as Acting Master. Our charter was draped in Bro. Buddy’s memory. Worshipful Bro. Dave Regan of Latonia Lodge No. 746 presented Worshipful Bro. 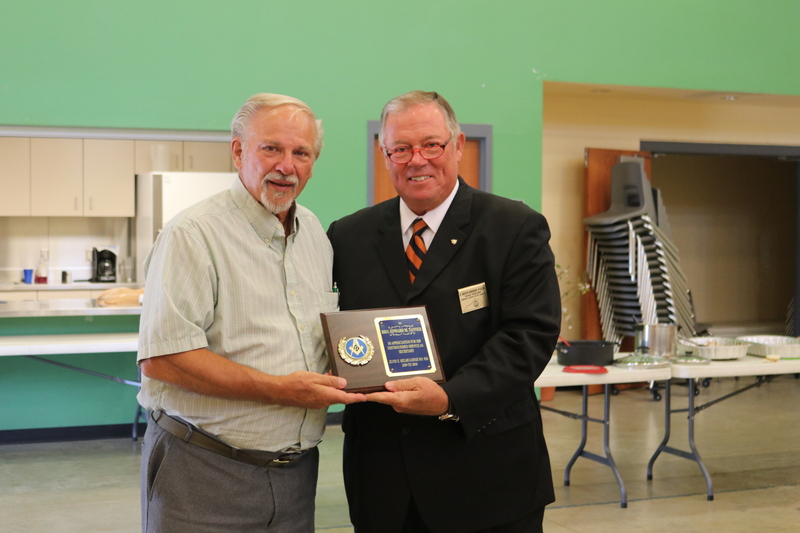 Ed Tanner with a plaque honoring his years of service to the Covington Scottish Rite 31st Degree Team. Bro. Ed is a 50 year Scottish Rite Mason. We had a nice turnout of visitors from other Lodges. We always appreciate our Brothers who make the trip to Petersburg and we try to be sure that our guests feel welcome and at home! Pictured above are Bro. Ernie Stratton (304, 926), Dave Regan (746), Larry York (220, 362), Robby Ratliff (362, 694), Jason Wallace (926, 264), Ed Tanner (304, 926), Chuck Yocom (746), Brian Carroll (95), Gary Caldwell (362), Cliff McKinley (362) and Ira Brockman (746). It is with profound sorrow that I must report to you the death of our beloved Worshipful Master, Bro. Buddy Wallace. Bro. Buddy was initiated as an Entered Apprentice Mason on April 4, 1967, passed to the Degree of a Fellow Craft on November 21, 1967 and raised to the Sublime Degree of a Master Mason on January 23, 1968. He affiliated with Burlington Lodge No. 264 on February 12, 1976 and with Elvin E. Helms Lodge No. 926 on June 12, 2012. Visitation will be held Friday, August 4, 2017 from 10am to 12pm with a Masonic service during visitation at Burlington Baptist Church. Funeral services will follow at 12pm at Church. Bro. Buddy was a devoted and faithful member of our Fraternity and our Lodge. He worked tirelessly on behalf of Masonry. We mourn his loss. Henry “Buddy” Wallace, 79, passed away Friday, July 28, 2017 at his residence. He worked as a truck driver with Manfredi Logistics for many years. Buddy was Past Master and very active in the Burlington Masonic Lodge No. 264 and Elvin E. Helms Lodge No. 926 in Petersburg. He enjoyed archery and was an avid NASCAR fan. Preceded in death by his wife Janice Wallace in 2013 and sons Robin Wallace in 2009 and Henry S. Wallace III in 1980. Survivors include his sons Jason (Mary Beth) Wallace of Burlington and Donnie (Jennifer) Wallace of Bellevue, sister Bessie Mabel Wallace, grandchildren Summer Wallace, Devin Wallace, Rayah Wallace and Julia Wallace, great grandchildren Brandon Sterling, Joshua Brown, Javion Brown, and Drew Wallace. Visitation will be held Friday, August 4, 2017 from 10am to 12pm with a Masonic service during visitation at Burlington Baptist Church. Funeral services will follow at 12pm at Church. Burial will be held at Burlington Cemetery. Memorials can be made to Burlington Masonic Lodge No. 264, P.O. Box 62, Burlington, KY 41005. Condolences can be sent at http://www.serenityfuneralcare.com. 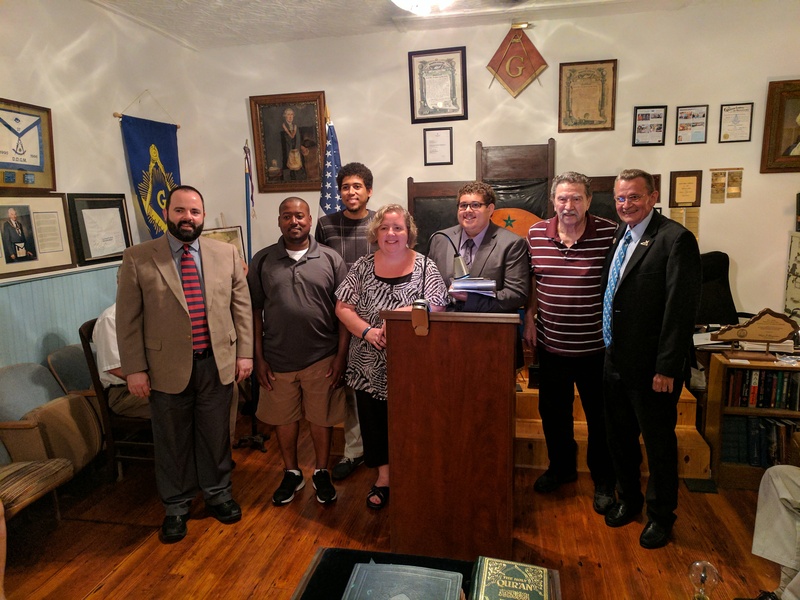 The July stated meeting of Elvin E. Helms Lodge saw a full house present to remember two of our departed Brothers and to enjoy some of the finest Masonic Education available anywhere in the world. Our Lodge’s charter was draped in memory of Bro. Al McWethy, a 67-year member of our Lodge who died on June 28, and Bro. 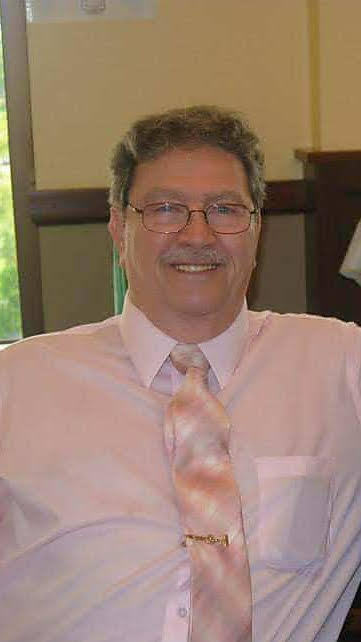 Garry Kelly, a 52-year member of our fraternity who died on July 5. 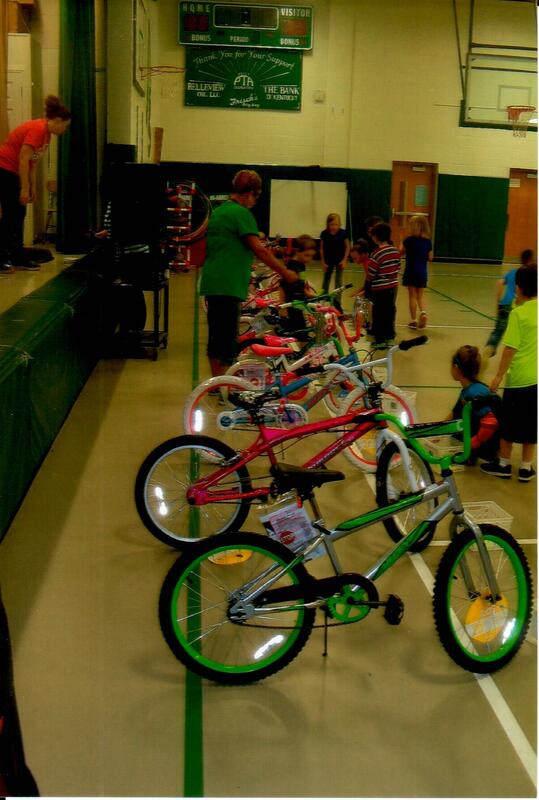 Well done, good and faithful servants! After a fine meal of beef stew prepared by Bro. Ed Tanner, the Lodge enjoyed an excellent presentation by Bro. John Bizzack, Senior Warden of Lexington Lodge No. 1. We were honored to have eight Brothers from Lexington No. 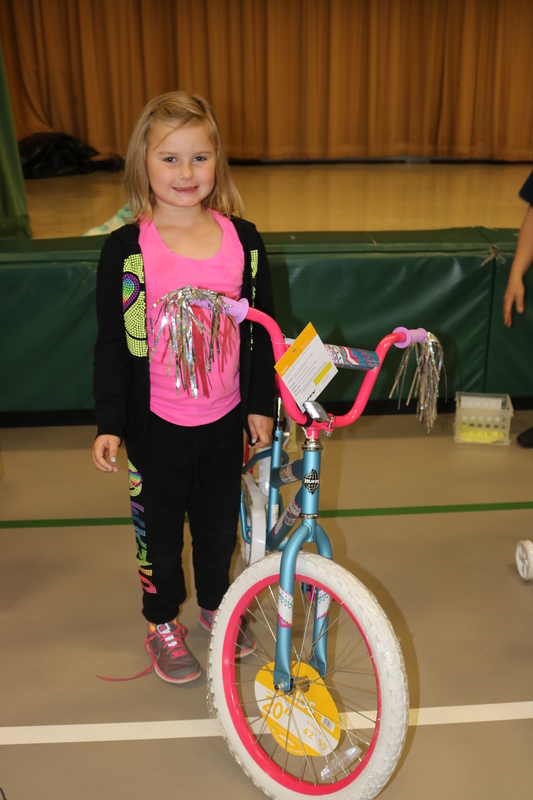 1 at our meeting! Bro. Bizzack, one of the premier voices in Masonic Education worldwide, gave a presentation was titled “Why We Do What We Do and Why We Don’t Do What We Did.” Bro. John spoke about how periods of rapid expansion in American Freemasonry resulted in diluted versions of ritual and practices. Subsequent cultural changes have further caused the Craft to lose many of its traditions and practices. Bro. Bizzack reminded the Craft that as Masons, we are part of an institution of higher learning and he called for the Fraternity to seek and restore its lost traditions. Bro. Bizzack has just released his most recent book, Island Freemasonry, which is available through all major booksellers. Our District Deputy Grand Master, Worshipful Bro. 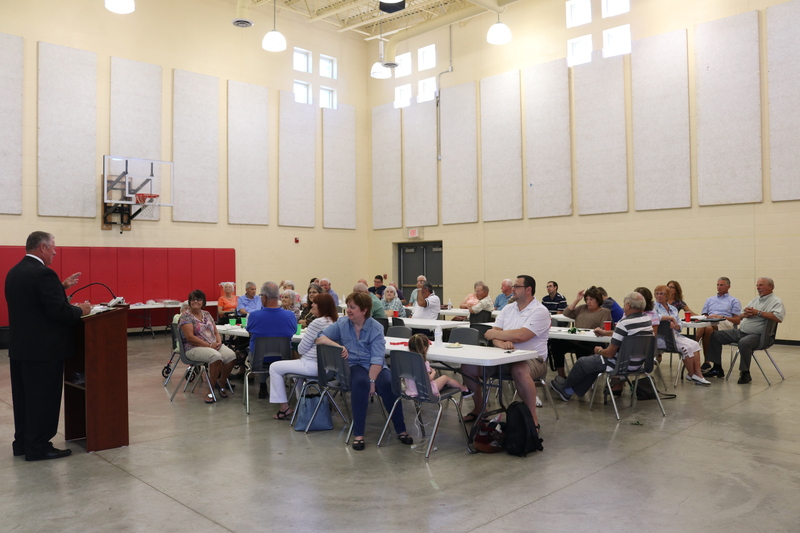 Kevin Schneider, was in attendance and announced plans for the District 18 Picnic. 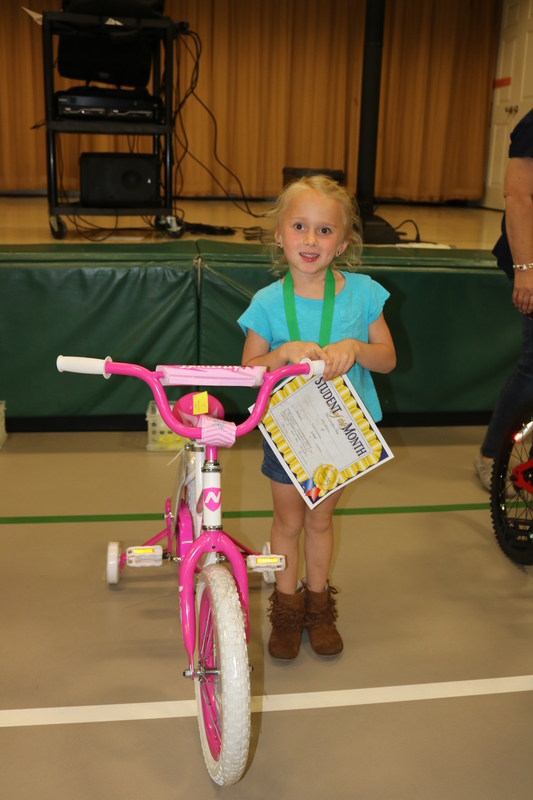 The Picnic will be at Richardson Road Park, 3415 Richardson Road, Independence, Kentucky, on Saturday, July 29 starting at 12:00 P. M. This is an event for families and friends, as well as Masons. The park is “kid friendly,” so it is a good venue for families. Our Lodge’s next meeting is on August 8. Worshipful Bro. 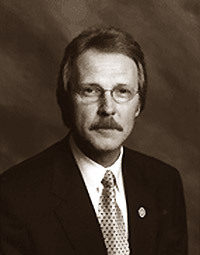 Rodney Epperson of N. C. Harmony Lodge No. 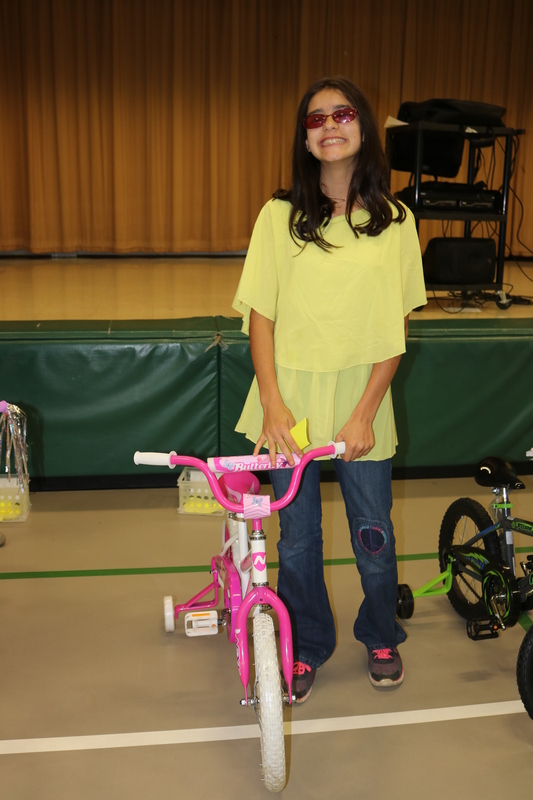 2 is Miamitown, Ohio, will be our featured speaker for the evening. See you at Lodge! It is with great sorrow that we announce the death of our esteemed Worshipful Brother Garry C. Kelly. Brother Kelly entered the Celestial Lodge Above on Wednesday, July 5, 2017. He was born on August 7, 1943; Initiated as an Entered Apprentice on January 2, 1965; Passed to the Degree of Fellow Craft on February 6, 1965; and Raised to the Sublime Degree of Master Mason on March 6, 1965. Visitation will be at Stith Funeral Home, 7500 US 42, Florence, KY 41042 from 2pm until 5pm on Sunday, July 9, 2017. Masonic Services will take place at 4:30pm. Funeral services will be held Monday, July 10, 2017 at 11am at Hopeful Lutheran Church, 6430 Hopeful Church Road, Florence, KY 41042 with interment immediately following. 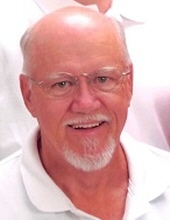 Garry C. Kelly, age 73, of Taylor Mill, passed away on Wednesday, July 5, 2017. Garry was the loving husband of Susan Kelly (nee Cogar) for over 52 years. Loving father of Garry S. Kelly (Heather) and Jennifer Taylor (Derrick). Beloved grandfather of Katie, Allie, Connor, Merrin, Aiden, Briley, Ava, and Mandy. He also leaves behind his brother, Harold Kelly (Patricia). He is preceded in death by his parents, Virgil and Ruth Kelly and brother, Virgil Lee Kelly. Garry retired from AT&T after 34 years working as a Communication’s Technician. He was a lifelong member of Hopeful Lutheran Church, a 50 plus year member of the Scottish Rite, a 32nd degree Mason, and a 50 year member of the Eastern Star. 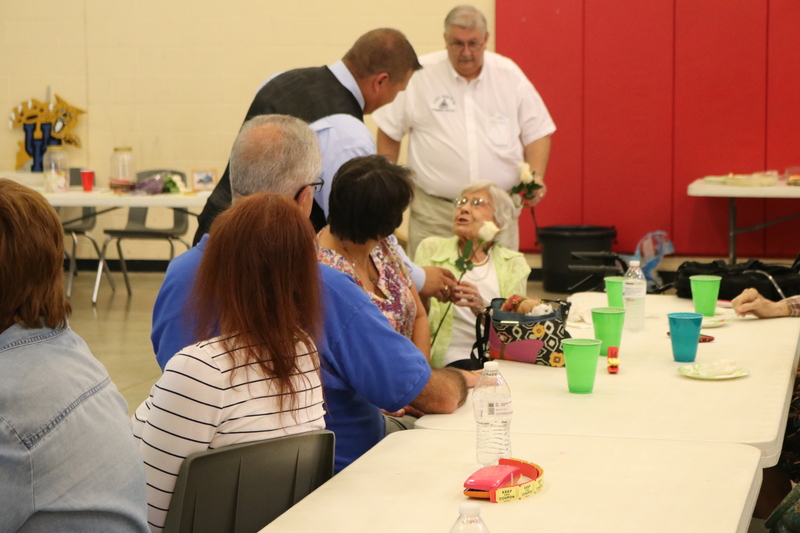 Garry served as a Past District Deputy Grand Master of the Grand Lodge of Kentucky, a Past Master of the Boone Union Masonic Lodge #304 and a member of the Elvin E. Helms Masonic Lodge #926. Visitation will take place on Sunday, July 9, 2017 from 2:00 p.m. to 5:00 p.m. at Stith Funeral Home 7500 US HWY 42 Florence, KY 41042. A Masonic service will begin Sunday at 4:30 p.m. Funeral Services will be held on Monday, July 10, 2017 at 11:00 a.m. at Hopeful Lutheran Church. Burial will immediately follow at Hopeful Lutheran Cemetery. Memorials are suggested to: Hopeful Lutheran Church 6430 Hopeful Church Road, Florence, KY 41042. It is with great sorrow that we announce the death of our esteemed Brother Alfred E. McWethy. Brother McWethy entered the Celestial Lodge Above on Wednesday, June 28, 2017. He was born on October 25, 1928; Initiated as an Entered Apprentice on April 11, 1950; Passed to the Degree of Fellow Craft on May 9, 1950; and raised to the Sublime Degree of Master Mason on June 24, 1950. Visitation will be at Middendorf-Bullock Funeral Home (next to Hebron Lodge) from 10am until 12pm on Saturday, July 1, 2017. The family did not request a Masonic Burial. Interment will be at the Petersburg Cemetery. Alfred E. McWethy “The Old Duck Hunter”, 88, of Petersburg passed away Wednesday at St. Elizabeth Healthcare, Florence. He was retired after more than 40 years of service from the Seagrams Distillery, Lawrenceburg, IN. He was preceded in death by his wife, Donna Jean McWethy nee Nixon in 2014; son, Steven McWethy in 1978 and his parents, Milton and Sophia Weisickle McWethy. Survivors include daughters, Kathy (Marty) Black and Connie (John) Culp all of Petersburg and Peggy (David) Barnett of Louisville; 9 grandchildren, Andrea House, Christopher Black, Monica Orchelle, J.T., Ali and Madi Culp, Shelby, Sydney and Sophie Barnett; 8 great grandchildren and his special companion, Little Lady. Visitation 10:00 am to 12:00 Noon Saturday at MIDDENDORF-BULLOCK FUNERAL HOME, HEBRON. Funeral services to immediately follow at 12:00 Noon. Interment will be in Petersburg Cemetery, Petersburg. Memorials are suggested to: Petersburg Volunteer Fire Dept., 3018 Second Street, Petersburg, KY 41080. Online guestbook at www.middendorfbullock.com. This past Saturday, June 24, 2017 was not only St. John the Baptist Day, but the 300th anniversary of the founding of the Grand Lodge of England. Elvin E. Helms Lodge No. 926 celebrated by attending worship services at Petersburg Christian Church on Sunday, June 25. 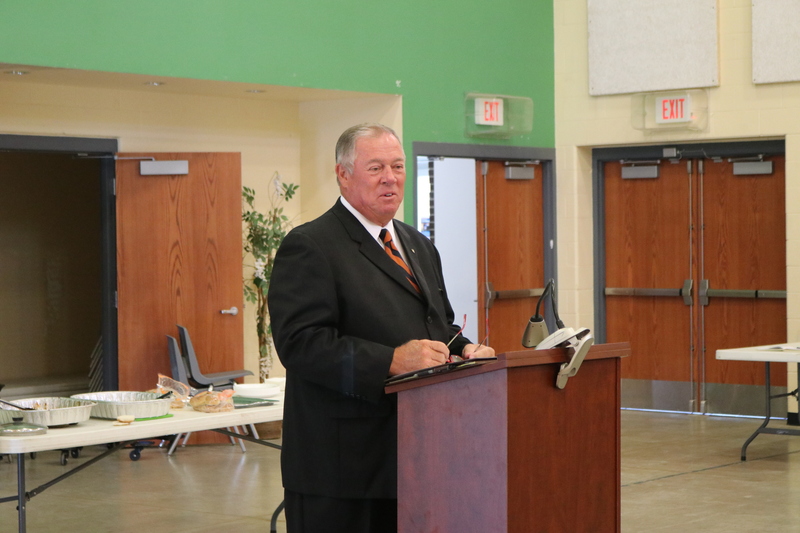 Pastor Doug Newhouse extended a warm welcome to our Lodge members and families. Our Brothers in attendance greatly enjoyed the service! 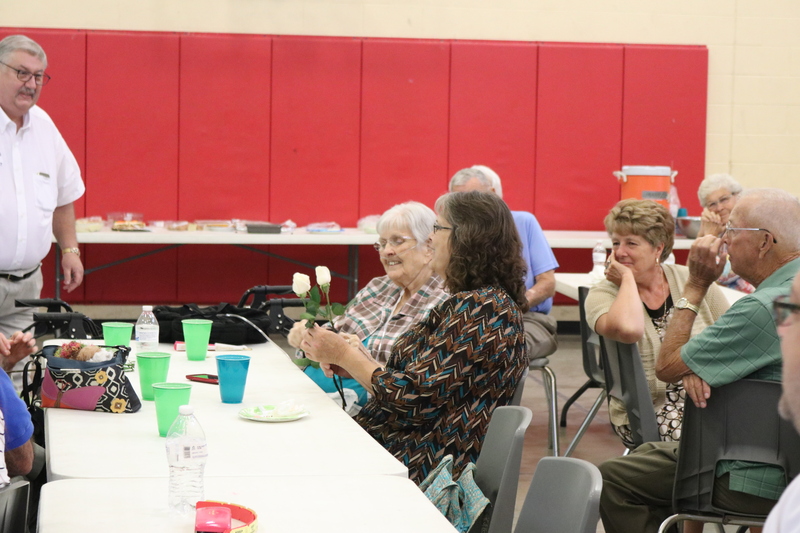 We wish to thank Petersburg Christian Church for their warm reception and fellowship. Five Past Masters, including our current Master, attended services on Petersburg Christian Church on Sunday, June 25 in observance of St. John the Baptist’s Day. 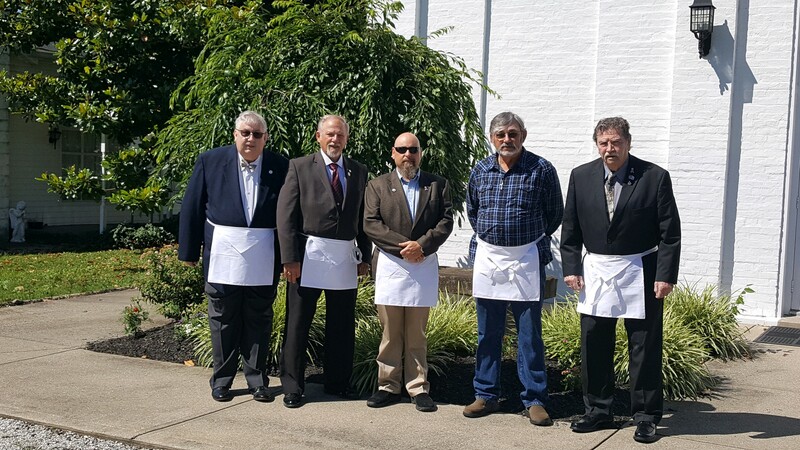 Pictured above, left to right, are Worshipful Brothers Dan Kemble, Ed Tanner, Travis Bush, Rick Campbell, and Worshipful Master Buddy Wallace. 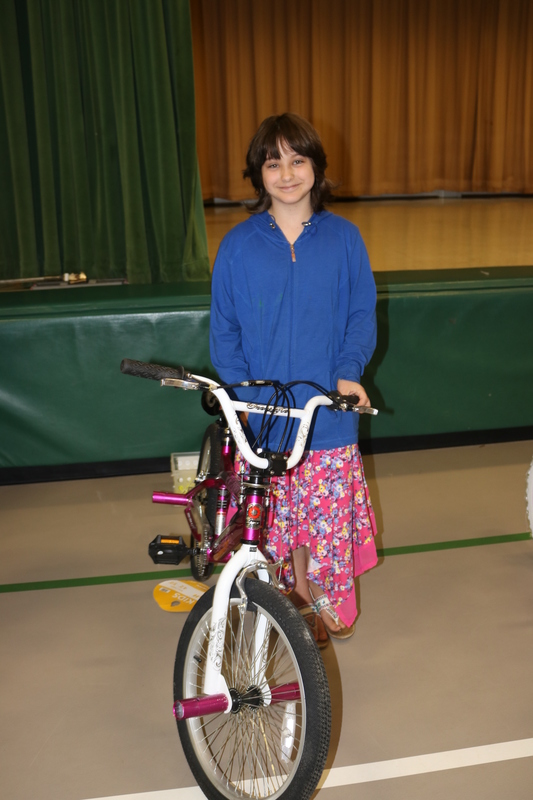 Among other activities, our June Stated Communication is when our Bernard Hogan Essay Contest winners present their essays. 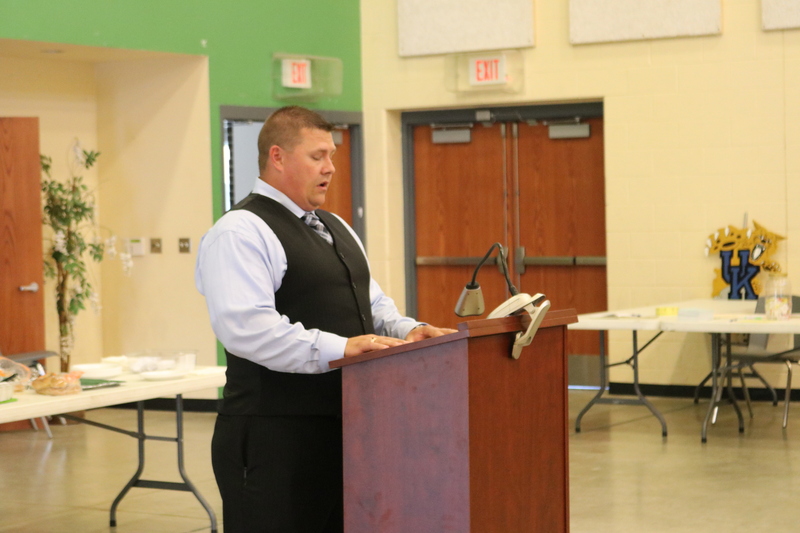 This year’s winner, Brevin Martin, was in attendance with his family to present his essay to the Lodge. Freemasons have been in the United States since its inception; some even say that Freemasons helped bring about the founding of the United States through the American Revolution. Masonic Temples were used for meetings. Members from both sides of the Revolution were welcome and actively participated in Masonic meetings without politics being involved. Others are convinced that the American Revolution itself started in Masonic meetings with discussion of unfair British policies and how to combat them. Not all of the major “players” in the Revolution were Freemasons, but many of them were. Ten signers of the Articles of Confederation, nine signers of the Declaration of Independence, thirteen signers of the Constitution, and four Presidents of the Continental Congress were — or later became — Freemasons. The brotherhood of the Masons and the trust established be being a Freemason helped people who didn’t otherwise know each other to become loyal confidants. Samuel Adams, John Hancock, Paul Revere, Joseph Warren, George Washington and Benjamin Franklin are well-known names from the American Revolution…they were also Freemasons! John Hancock was a wealthy businessman who decided to get involved with politics by securing political office in Boston and then the colonial legislature in Massachusetts. Paul Revere — a silversmith and not of the elite social class of John Hancock — was a Senior Grand Deacon in the Grand Lodge of Massachusetts and was a good friend of Joseph Warren, Master of the Grand Lodge of Massachusetts. They became friends due, in large part, to their membership in the St. Andrews Lodge (Boston, Massachusetts). Samuel Adams was a graduate of Harvard and came from a very politically-active family in Boston. A lead of the Sons of Liberty — and kind of a troublemaker — Adams frequently challenged British policies. All four of these men were Freemasons and belonged to the Grand Lodge of Massachusetts. At the time Joseph Warren sent Paul Revere to warn John Hancock and Sam Adams that the British regulars were marching to Concord, Hancock and Adams had warrants issued for their arrest. Without being in the brotherhood of Freemasons, the American Revolution may have had a completely different outcome. All of these men were active members of the Freemasons until their deaths. There were many notable Freemasons involved with the American Revolution, but George Washington and Benjamin Franklin are among the most well-known. George Washington would be the “celebrity” by today’s standard, but Benjamin Franklin did more for the Masonic organization. George Washington’s influence on American history is inestimable. He was the Commander of the Continental Army, served as President of the Constitutional Convention, and later became the first President of the United States. He was a devout mason; he was first initiated in 1752 in the lodge of Fredericksburg, Virginia. He remained an active member until his death in 1799. He rose to the level of Master of the Alexandria Lodge No. 22 (which was subsequently renamed the “Alexandria-Washington” Lodge No. 22). Washington surrounded himself with Freemasons; he used a Masonic Bible from the St. John’s Masonic Lodge No. 1 (New York City), and his oath was given by Robert Livingston, a prominent Mason and the Chancellor of New York. Livingston later served as one of five members of the committee tasked with drafting the Declaration of Independence. George Washington even incorporated Masonic practices as he and other members of the Maryland and Virginia Masonic Lodges laid the cornerstone of the US Capitol building. Benjamin Franklin joined the Masonic Lodge of St. John in Philadelphia, Pennsylvania, in 1732 and remained an active member until his death. He eventually became Grand Master of his lodge as well as Grand Master of the Nine Sisters Lodge in Paris, France. He joined the Parisian lodge while serving as a diplomat in France. Interestingly, Benjamin Franklin traveled to other European countries to attend different Masonic Lodges and meetings. He was well-known for serving on the committee to draft the Declaration of Independence and his work in the Continental Congress, but he was just as dedicated to his Masonic Lodge. He created its bylaws and he also published the Constitution of the Free-Masons. In conclusion, Freemasons helped create the United States of America, helped form the foundation of our laws and beliefs, and much of the Founders’ creative thinking can be traced to the fundamentals of Freemasonry. The fact that these men belonged to the same fraternal organization gave them the opportunity to interact with other Masons and crate and important connection, vital to the formation of our nation. Found fathers and historical figures, Freemasons truly shaped the very concept of the United States of America. Worshipful Brother Kemble presents Chase Martin with his first place prize and plaque. 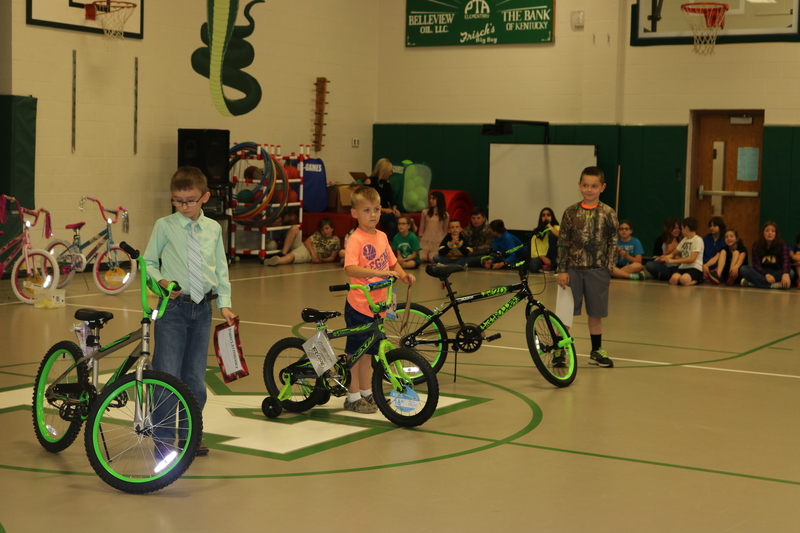 Pictured above, left to right: Dan Kemble, P.M., Secretary; Brevin “Chase” Martin; Buddy Wallace, Master. 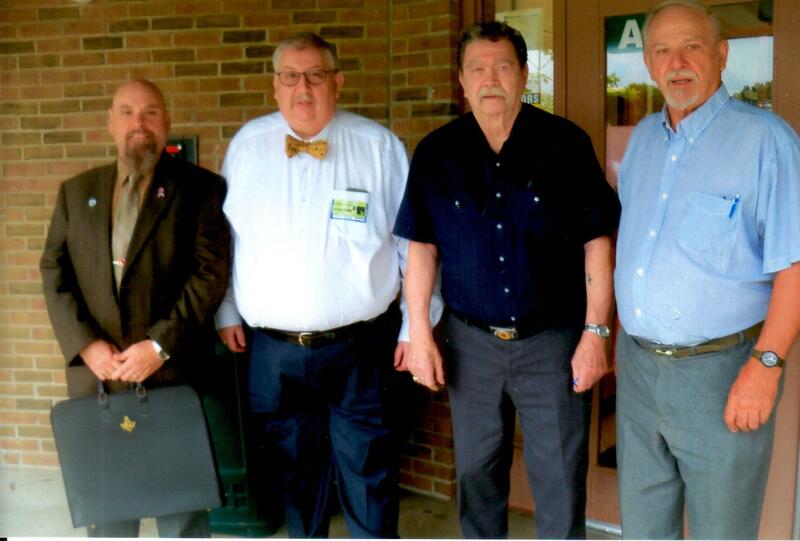 Pictured above, left to right: Doug Logan, History teacher at Cooper High School; Don Martin; Brandon Martin; Rose Martin; Buddy Wallace, Master; Right Worshipful Brother Gary Rose, Grand Senior Warden, Grand Lodge of Kentucky. Right Worshipful Brother Gary Rose, Grand Senior Warden of the Grand Lodge of Kentucky was our guest speaker for the evening. He spoke briefly on a series of interesting topics to get everyone thinking then opened the floor for questions and discussion. Bro. Ed Tanner and Bro. Dan Kemble visit with Bro. 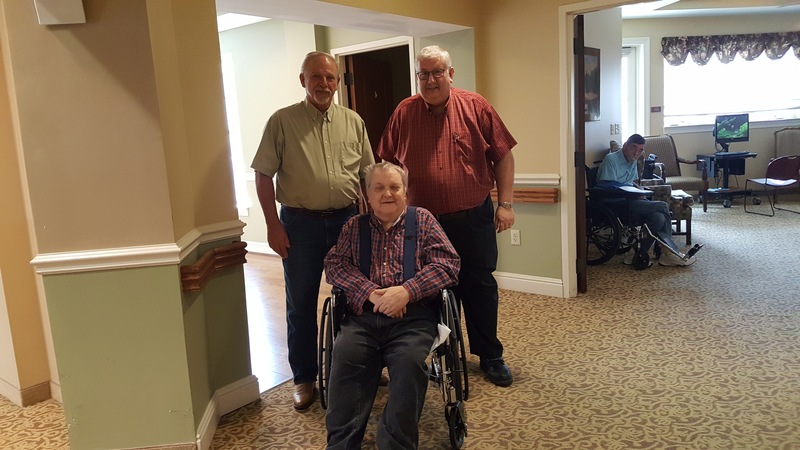 J. R. Ross at the Sam Swope Care Center, Louisville, Kentucky. 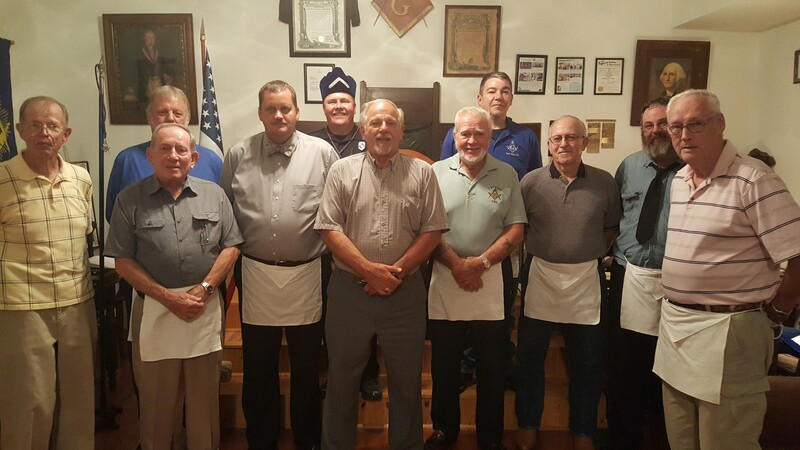 On Saturday, May 20, members of our Lodge visited Bro. J. R. Ross at The Masonic Homes in Louisville. Bro. 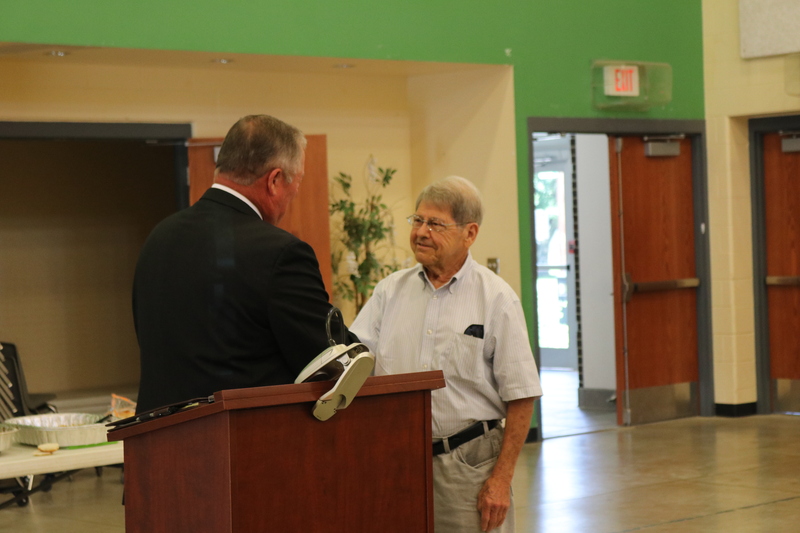 Ross is a resident at the Sam Swope Care Center and is a member of St. George Lodge No. 239 in Louisville. He is a 43-year member of our Fraternity. Bro. Ross never married and has no children. His Lodge Brothers are truly his family. Through the assistance of Worshipful Bro. Bruce Lott, our Lodge “adopted” Bro. Ross in 2016. We found Bro. Ross to be in good health and in good spirits. He was happy to see his Brothers from Elvin E. Helms Lodge and especially thanked us for the afghan that we sent him last Christmas. During the course of our visit, Bro. Ross said at least a half dozen times that he thanked God daily for having the good fortune to live in the Masonic Homes. The Sam Swope Care Center is a beautiful facility. As evidenced by Bro. Ross, the residents are well cared for and happy in their surroundings. 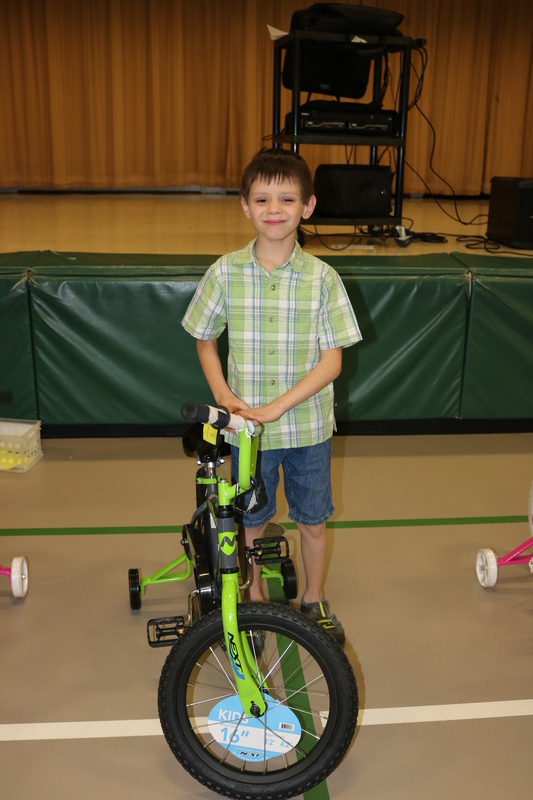 Seeing our Brother so happy and content is a vivid demonstration of the importance of the Masonic Care program. We can all be proud of the job done by The Masonic Homes of Kentucky.